Have you ever played a dollar or penny slots game expecting to win millions of dollars? Well, this past week, two lucky winners did just that. One man from Perth in the UK won 2.2m pounds off of a 1 pound bet playing a fruit slots game with Paddy power online. 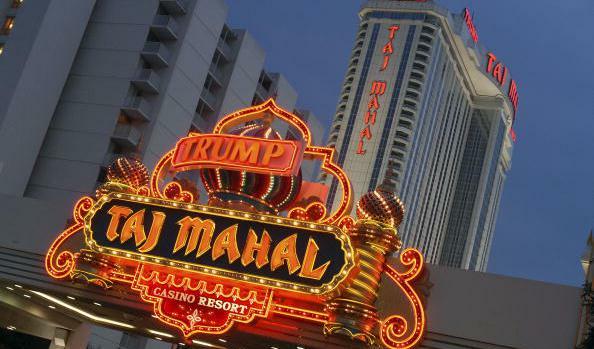 Meanwhile, on the other side of the pond in Atlantic City New Jersey, a 50-year-old woman sat down at a penny slot machine in the Trump TajMahal Casino. This woman bet 400 coins (four dollars), and seconds later received a payout of $3,084,922.63. So though you may not expect it, big wins are happening on these smaller slots machines all the time all across the world. The Atlantic City win came from a 50-year-old woman from Kendall Park New Jersey. Though she did not wish to be identified, Charlie Rando, vice president of casino operations at the TajMahal, said: “it was really great, we had a lady come in here, regular player and she hit the wheel of fortune jackpot on our penny machine.” Apparently she had only been at the machine for about five minutes. According to the New Jersey Division of Gaming Enforcement, this win was legitimate, and it is also the largest Atlantic City jackpot in over three years. The last time a win this large happened was in 2012 when a wheel of fortune machine at Borgata yielded a $3.8 million jackpot. Last year the largest jackpot seen at Atlantic City was through betfaircasino.com online for $1.5 million. So even if you don’t think you will win big, it might be worth a minute to put a couple of coins into one of those penny slots wheel of fortune machines, or even just an online fruit slots game. You never know when the next big winner will strike his fortune, and maybe next time it will be you.